Late spring and early summer are the perfect times for a stroll in the French Quarter and a stop for a refreshing gelato or a snoball. However you want to spell “snoball” — there’s no arguing that this local concoction of shaved ice and cane sugar syrup is delicious, and we won’t steer you wrong with our recommendations either. Cool off with one of La Divina Gelateria’s inventive gelatos or sorbets, made from scratch, daily. This Sicilian cafe also has baked goods and a full lunch menu, but artisanal gelato and sorbet are its specialties, made with organic cream and milk and Louisiana cane sugar. The fruit and honey used are sourced from local farms. The sorbet is vegan-friendly and the gelato is gluten-free. Try the frappe (the Italian milkshake where milk is blended with gelato or sorbet), the gelato float, or the old-fashioned Frappe Latte al Malto (malted milk with gelato). Add whipped cream or a shot of espresso, of have your gelato with Belgian waffles. There’s even a gelato for your dog: Frosty Paws is frozen yogurt, peanut butter, honey, and bananas. This iconic snoball stand on the corner of Tchoupitoulas and Bordeaux has been open since 1939 and has been operating at the same location since 1944. It was started by Ernest and Mary Hansen, when, according to the family history, Ernest operated the (then-high-tech) ice-shaving machine and Mary made flavored syrups sweetened with cane sugar in-house. Today the stand is run by their granddaughter Ashley Hansen and family, serving dozens of flavors that have won Hansen’s a James Beard award in 2014 in the “America’s Classics” category. People are lining up for Hansen’s traditional flavors like Root Beer, Bananas Foster, Cream of Wedding Cake, and Sno-Bliz (Mary’s secret recipe, apparently). Enjoy dozens of specialty flavors, like Creambeaux Brown Pelican (Cream of Root Beer), Ginger-Cayenne or Satsuma, with toppings of crushed pineapple, marshmallow or whipped cream. New flavors are added every season, and sugar-free items are also available. 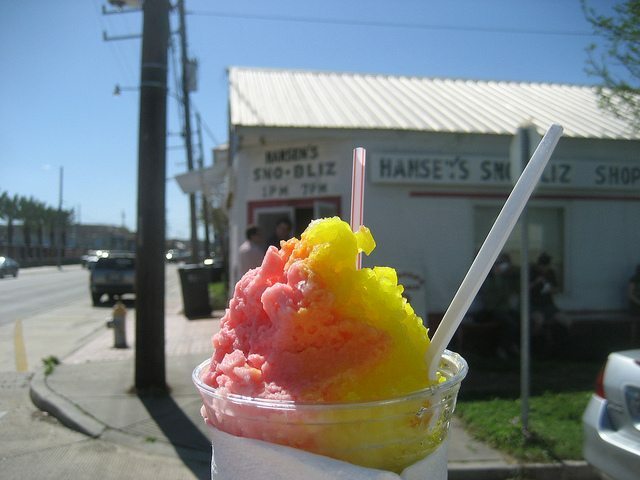 Like many local snoball stands, Hansen’s Sno-Blitz is only open March through October. Another iconic neighborhood stand, Williams Plum Street Snoballs doles out dozens of traditional flavors in Chinese takeout-style containers. The Orchid Cream Vanilla, Almond Cream and Pina Colada are among the favorites, and you can sample different flavors before you order. Though unassuming, this Uptown institution near Tulane University has been open since 1945 and the lines can get pretty long. It’s also cash-only, and there’s a strictly enforced no-cell-phone policy at the counter. Open March through October. Pandora’s serves more than 100 flavors out of its tiny, no-seating location in a busy residential Mid-City neighborhood, with the locals lining up in spring, summer, and fall all the same. The line moves quickly, and the menu of flavors is endless, ranging from sweet to tart, like Wine Cooler, Granny Smith Apple, or Margarita. It’s a perfect pit stop on your way to the City Park and the New Orleans Museum of Art — or grab one to go for a walk along Bayou St. John, which is also only a few blocks away. Yet another New Orleans institution, also located on North Carrolton Avenue in Mid-City, Angelo Brocado’s is simply a must-stop. Not only does it look like an elegant old-fashioned ice-cream parlor, it’s been operated by the Brocato family since 1905. The company still uses the family techniques and recipes honed by Angelo Brocato and steeped in the Sicilian traditions hailing from Palermo over a hundred years ago. According to the family history, Angelo churned ice cream by hand and produced then-novel flavors not offered in New Orleans before. One of those, torroncino, is still offered today. It’s a vanilla-based gelato with cinnamon and ground almonds. Another favorite is granita al limone, or lemon ice. After almost 80 years in the French Quarter, Angelo Brocado’s relocated its storefront to Mid-City, retaining the Old World look and the reputation for using high-quality local ingredients and small-batch production. 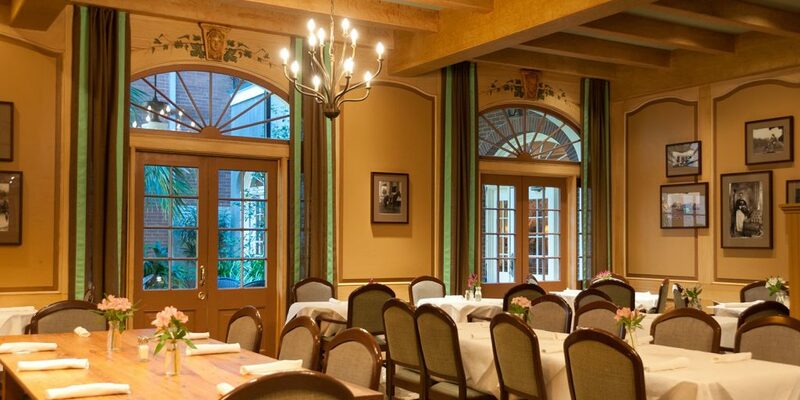 These days, Brocado’s is still a sight to behold, especially during the holiday season. Everything on display inside those gleaming counters is worth a try, from biscotti to marzipan and other confections to cannoli Siciliana, granita, and pre-packaged ice in seasonal flavors like blackberry. Gelato deserves a special mention. It comes in many size options, including pre-packed as spumoni or cassata (six slices each), and in the ever-popular flavors like Fiore di Latte, Mint Chocolate Chip, Straciatella, and Zuppa Inglese. Seating is limited and the line, especially on the weekends, could be out of the door, but you won’t forget this experience anytime soon, and for all the right reasons. From staples like the trifecta of vanilla, chocolate and strawberry to the decidedly bolder flavors, Creole Creamery is always changing the menu and adding new flavors to its already impressive roster of unusual flavors. The ice cream and the sorbets are made daily and served in two locations, Uptown and Lakeview. At the Uptown location, Chef Bryan Gilmore and his crew had been coming up with milkshakes and rotating the sundae specials. Ice cream is offered in flavors like lavender honey, Creole cream cheese, Black & Gold Crunch, Southern Comfort and cayenne, and the Green Fairy (dark chocolate chip, absinthe, candied orange peel). The no-sugar Susie Q concoction is two scoops of sugar-free ice cream, sugarless fudge, nuts, and a cherry. If you can’t decide on the flavor, they’ll let you try a few, or get an ice cream sampler or either four or six mini scoops. Speaking of sundaes, you can try your luck in the so-called Tchoupitoulas Challenge at the Prytania Street location to down an epic sundae made with eight scoops of ice cream with eight toppings of your choice, served with whipped cream, cherries and wafers. Surviving that would get your name added to the Tchoupitoulas Hall of Fame wall. Although The Fudgery is a nationwide chain and is located in a mall, it’s worth a consideration simply because it churns out excellent fudge in addition to ice cream, milkshakes, and caramel apples. It also comes with entertainment, as the staff not only makes the fudge in front of you while you wait, but they’ll also sing while doing it. When in New Orleans, why not to go directly to the source and sample the famed Bananas Foster at the very same establishment that came up with it? Touted on Brennan’s menu as the “World Famous Bananas Foster,” this decadent dessert is made with bananas, butter, brown sugar, cinnamon, rum, and New Orleans Ice Cream Co. (a local company) vanilla bean ice cream. The famous dessert is traditionally flambeed tableside. 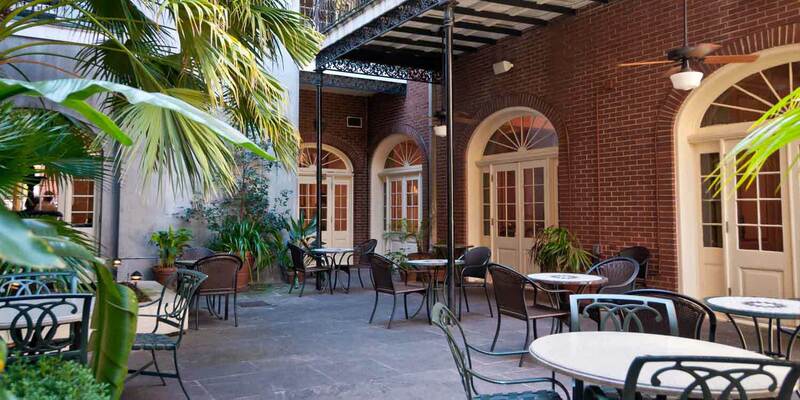 It requires two people to order, but $10 won’t break the bank, and you can enjoy in the restaurant’s lush courtyard.